This pack provides 20 cards with a contemporary design outlining the privileges and responsibilities of becoming a Godparent. Along with a record of the baptism, the cards offer an opportunity to welcome Godparents into the faith community. This pack provides 20 cards outlining the duties of Godparents, along with a record of the baptism. May God bless you and guide you and give you all the help you need to fulfil this trust. On the left hand side of the card the duties of Godparents are outlined. For a Godparent : Pack of 20 was published by The Society for Promoting Chri in January 1986 and is our 215th best seller. 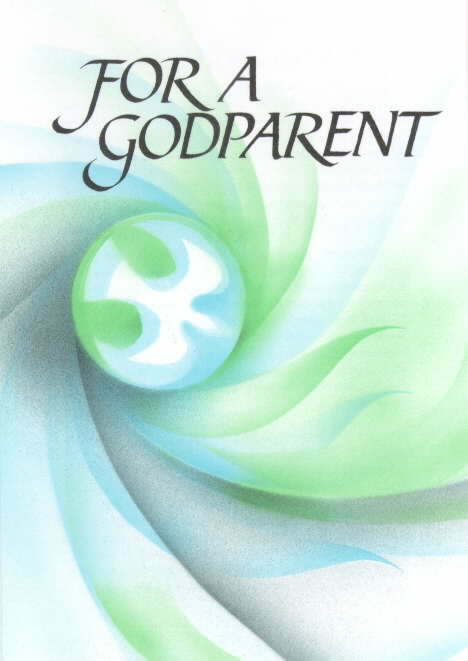 The ISBN for For a Godparent : Pack of 20 is 9780281046089. If you need cards for the Godparents, these suit the purpose and remind them that they have taken on a role in the child's life. they also match the certificate - used to be able to get sim for the parents/guardians which the church would sign to welcome into the church family but not seen these for some years now. buy one in local shop instead - shame though as, if it matched, it would stand out and more likely be kept with the cert than chucked out with all the rest. Brilliant quality ,value for money and out of the ordinary would not hesitate to re order when needed . Got a question? No problem! Just click here to ask us about For a Godparent : Pack of 20. You pack states that is outlines the duties of Godparents. What do they specifically state as the duties of Godparents? What message is inside the For a Godparent : Pack of 20? A:The greeting on the inside of the For a Godparent (right side) reads:A Greeting and a Blessing:forat the baptism of your GodchildonatMay God bless you and guide you and give you all the help you need to fulfil this trust.On the left hand side of the card the duties of Godparents are outlined.